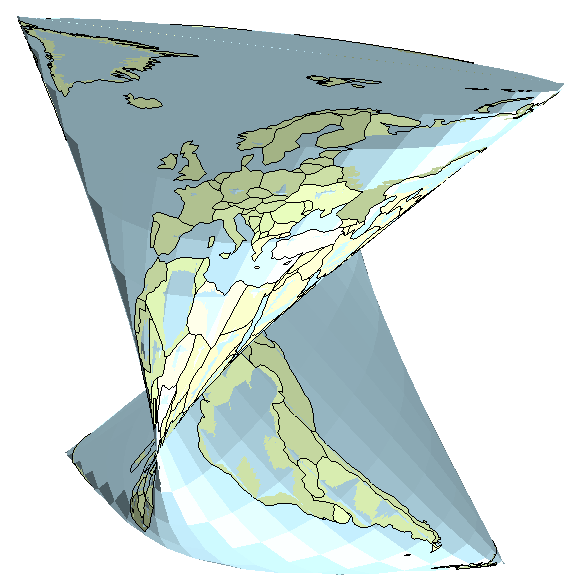 This example shows how a 2D map in lat/long can be converted into a 3D globe. Actually, my attempts to make digital 3D globes started many years ago - around 1996. At that time I was amazed by MicroStation 3D capabilities, and wanted to make something really cool. So I created a sphere, and covered the surface with an image representing the map of Saint Petersburg, Russia. The globe was quite well received by my colleagues, and one local newspapers published an article about the globe and city planners having fun at work. Now, 11 years later, I am in the globe making business again. This time with FME. 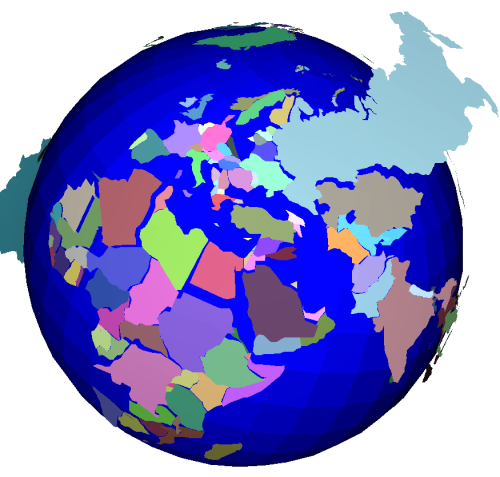 The workspace takes a shapefile with very generalized country shapes, chops all the countries into separate points and calculates 3D coordinates for each point separately, rebuilds polygons in 3D, and extrudes them according to the extrusion vectors also calculated within the workspace. 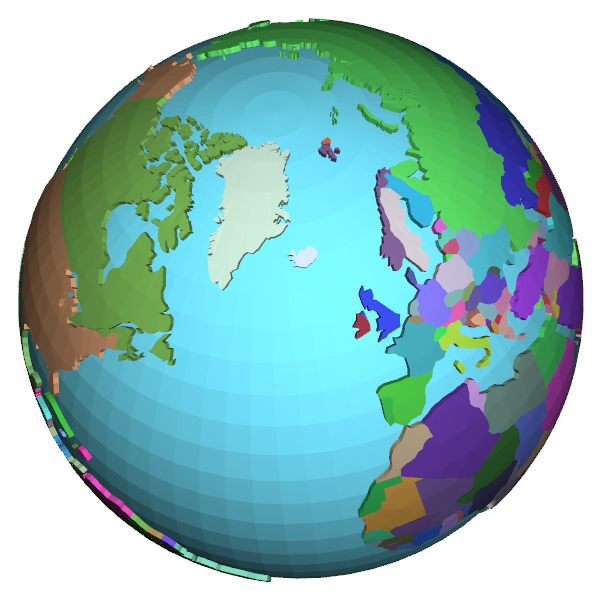 If you have Adobe Reader installed, you can enjoy my 3D Globe right now (see the attached globe.pdf) or when all 4 megabytes will be downloaded to your computer). I loved this article! Thanks a lot @dmitribagh! PS, is that hole in the Antactica for inserting the support?